A monthly Welsh language music periodical that published articles on contemporary Welsh composers and which included composition competitions, reviews and a composition as a supplement. The periodical was edited by the musician, William Thomas Rees (Alaw Ddu, 1838-1904). 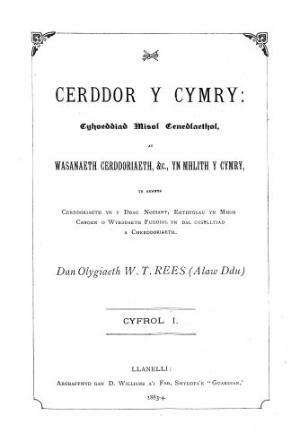 Associated titles: Cyfaill yr Aelwyd (1886-1888).